The characteristic barking cough is more common in kids, but it can happen at any age. Croup is a condition that affects your upper respiratory airways–the windpipe, bronchial tubes, and vocal cords. With croup (technically called laryngotracheobronchitis), the airways swell and narrow, making it uncomfortable–and sometimes difficult–to breathe and producing a characteristic bark-like cough. “Croup is commonly considered an acute upper respiratory disease of childhood,” explains Jonathan Tolentino, MD, clinical associate professor of pediatrics and internal medicine at Stony Brook University. “In adults, croup is very rare, with only a handful of cases reported in the literature.” In fact, as of 2017, there were only 15 reported cases of adult croup. The major reason why it’s so uncommon in adults is that as you get older, your airways become larger and stronger, making it harder for this type of inflammation to cause a noticeable enough obstruction of your breathing. Here’s what to know about croup–in children and adults. Croup is usually caused by a virus. While there are many different kinds of viruses that can cause croup, the most common are parainfluenza viruses. There are four strains of these viruses, but the one mostly responsible for croup is parainfluenza virus 1. Croup can be caused by other viruses, including the influenza virus, respiratory syncytial virus (RSV), the measles virus, or viruses that cause colds. Less common causes of croup include acid reflux, breathing in a foreign object or irritant, allergic reactions, and bacteria. Viral croup is a highly contagious condition, passed around through coughing and sneezing. 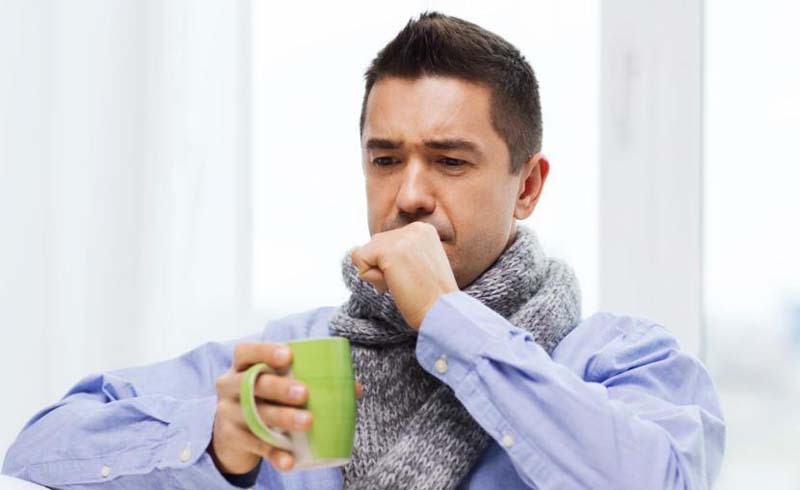 Just like other upper respiratory conditions, it’s more common during the winter months–possibly because people stay indoors and find themselves in close quarters with others more than when it’s warmer out. 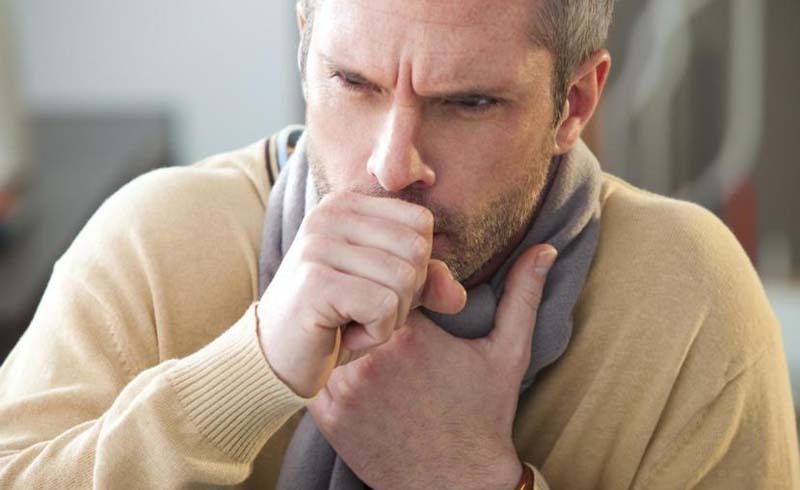 Adults may experience any of these symptoms, but they’re more common in people whose immune systems are already working overtime. “In adults, these symptoms are more likely to be seen in combination with the presence of some impairment in immune function, such as having severe liver injury or being on immunosuppressants,” Dr. Tolentino says. When adults get croup, it’s generally more severe than it is in children. If you suspect that you have croup, you should see your physician immediately. Croup is usually short-lived in children, lasting three to four days–but that's not the case in adults. “Adult croup patients have been reported to need up to 10 days of treatment in the hospital, and, because of the severity, recovery may take even longer,” Dr. Tolentino explains. There’s really no guaranteed way to avoid getting croup. However, there are some things you can do to seriously lower your chances. “The most important and effective ways to prevent croup would be to embrace good hand-washing habits, receive the annual flu vaccine, and, if your doctor recommends it, take the pneumococcal vaccine,” Dr. Tolentino says. Good hand-washing habits should be maintained all year, of course, but they’re especially important during the winter when viruses tend to spread more. Wash your hands after you sneeze, cough, or use the bathroom, as well as before and after you eat or prepare food. If you don’t have soap and water available, alcohol-based hand sanitizers can work in a pinch. Remember to sneeze and cough into your elbow or a tissue to help keep germs at bay, and avoid people who are sick when you can, especially if they’re sick with croup or other upper respiratory conditions. Help kids avoid croup by washing your hands often when you’re caring for them and making sure to keep their toys clean.